The Zidoo X9S is a TV box, shipping with Android pre-installed. The bottom plate can easily be unscrewed. A male 2 mm connector is available below the board, between USB 3.0 and SATA connectors; the pins are also accessible from the top. Hints on which female connector to use welcome! With a standard 0.1" TTL UART USB adapter, RX and TX can be plugged inside the connector and for space reasons GND elsewhere (e.g., via male-male cable to the USB connector in the corner). 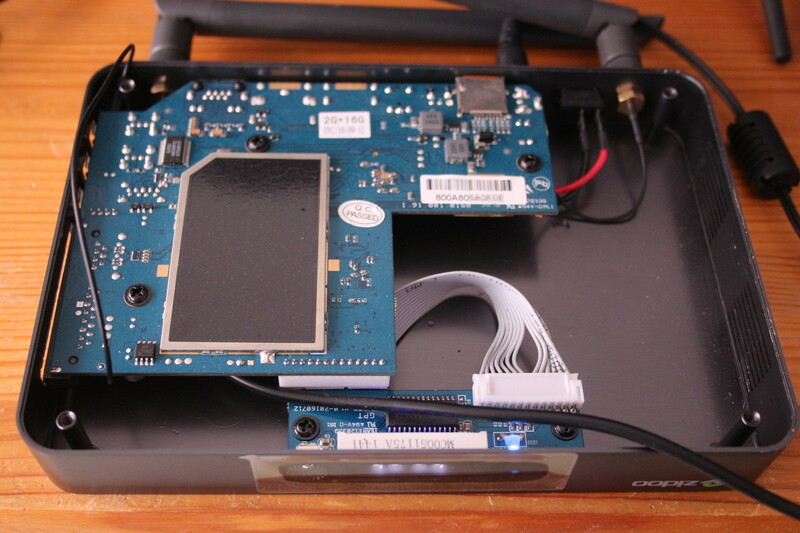 The device first boots into a v2012.07 based AArch32 U-Boot. To get to a prompt, press space or ESC. The default boot command, bootr, boots into a v2015.07 based AArch64 U-Boot with no timeout for pressing a key. To get to a prompt in the second U-Boot, you can instead enter b2ndbc at the prompt of the first U-Boot. The uImage must use 0x00280000 as load address, or the Image needs to be built with patched TEXT_OFFSET (default: 0x80000) to boot successfully. Mainline U-Boot does not yet contain support for this SoC or device. Initial patch series sent (v1, v2, v3) and merged for 4.13. The v4.13-rc1 kernel added initial support for this SoC and device, but needs additional DT tweaks to get serial working beyond earlycon. This page was last modified on 1 October 2017, at 19:58.